Cognitive Scientist. Corporate Speaker. Writer. Musician. Music Teacher. Spiritual Teacher. "The better you understand a tool, the better you can use it. And your brain is the best tool you'll ever have." 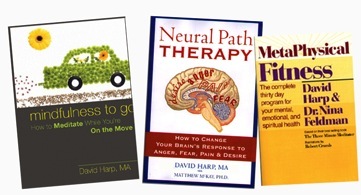 e interested in my work as a writer and teacher of applied cognitive science — that is, how we can use our brains in the most effective way possible, to reduce stress, become more creative, enhance interpersonal relationships, even to develop a mindfulness practice. 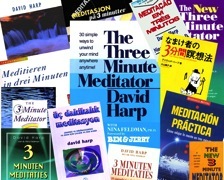 For info on this, please visit www.thethreeminutemeditator.com(my most popular book worldwide), or www.harmonicayoga.com. teacher, with over a million students to my credit (I also hold the World's Record for Most People Taught to Play Blues, Rock, Folk, and Classical Harmonica At One Time — 2,569 participants, but I hope to do a big group some day). 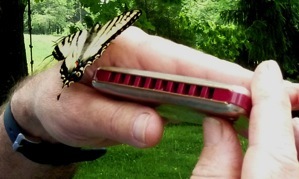 And creator of more than two dozen books and CDs to help you learn blues, rock, folk, country, classical and jazz harmonica, as well as books and CDs on music theory, guitar, percussion, and tinwhistle. My website www.bluesharp.com has info on these (some of which may be out of date: as a webmaster, I'm an excellent blues harpist). 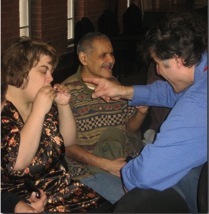 If this interests you, please check out www.harmonicakirtan.com — "Kirtan" means interactive spiritual music. It's mostly used in the Sufi tradition, but I'm all for inclusiveness, and you can get to the same spiritual place whether you're playing Amazing Grace, Beethoven's Ninth, The S'hma, O God Beautiful, or Pachelbel's Canon — any of which I can teach an individual or a group both to play, and to use as a spiritual supercharger — in one session. Since I have these rather diverse interests and areas of expertise, I've kept this website short and simple, and use it only to direct you to a more specific site on the aspect of my work that you're interested in. If you already know which part or parts of my multifarious career that you'd like to know more about, just click on the links in the text above (or below). And if you've simply landed here by accident, and find any of the above appealing...just click away anywhere you like! P.S. 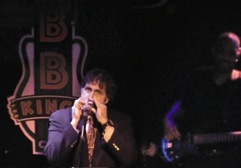 For some rather self-aggrandizing information aimed at any of you who might be interested in interviewing me, via print media, radio, video, or other means, please visit www.theharmonicaguru.com. AND NOW A WORD FROM OUR "SPONSOR"
Since my corporate presentations help to subsidize my non-profit work (thanatology and work with people with disabilities), I'll be pushy and talk just a bit more about them, right here. • Stress Reduction • Teamwork That Really Works • Enhanced Communication or Creativity • Change Management • Or any Event Customized to Meet Your Needs? 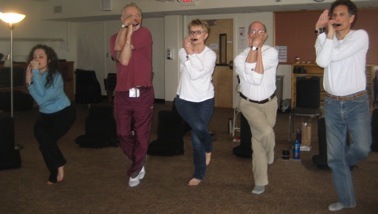 If you want to give your group a transformative, completely customized, content-filled, and incredibly interactive and entertaining experience, please visit: www.harmonicabasedstressreduction.com. "...the most popular speaker of our three day event." "An absolutely amazing teambuilding event, and we have lots of them." "Your presentation was exactly on target."